© C.A.B. 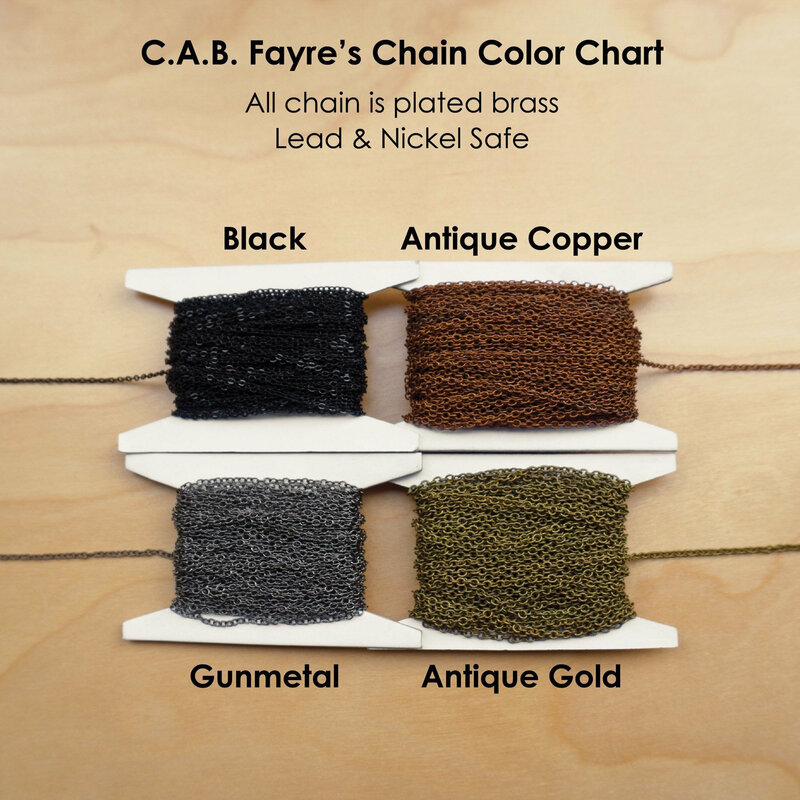 Fayre - This is a C.A.B. Fayre ORIGINAL design. 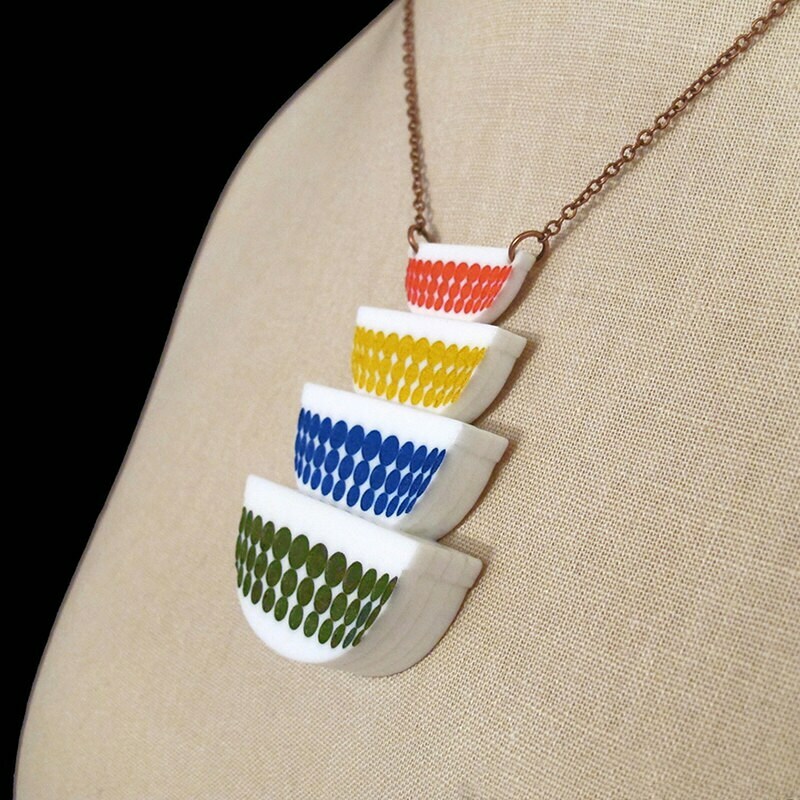 Are you a Pyrex Junkie? 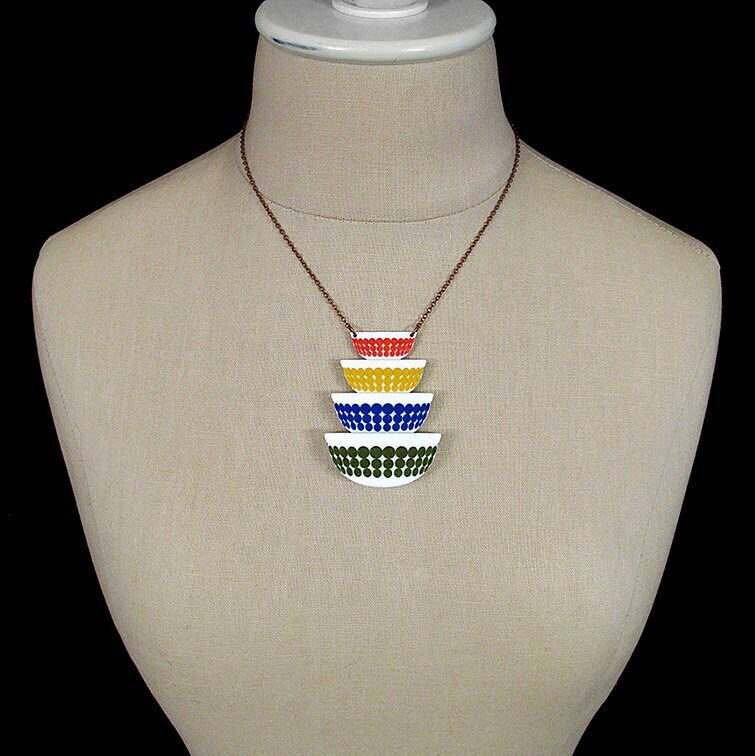 Perhaps you need a the perfect gift for a Pyrex lover? 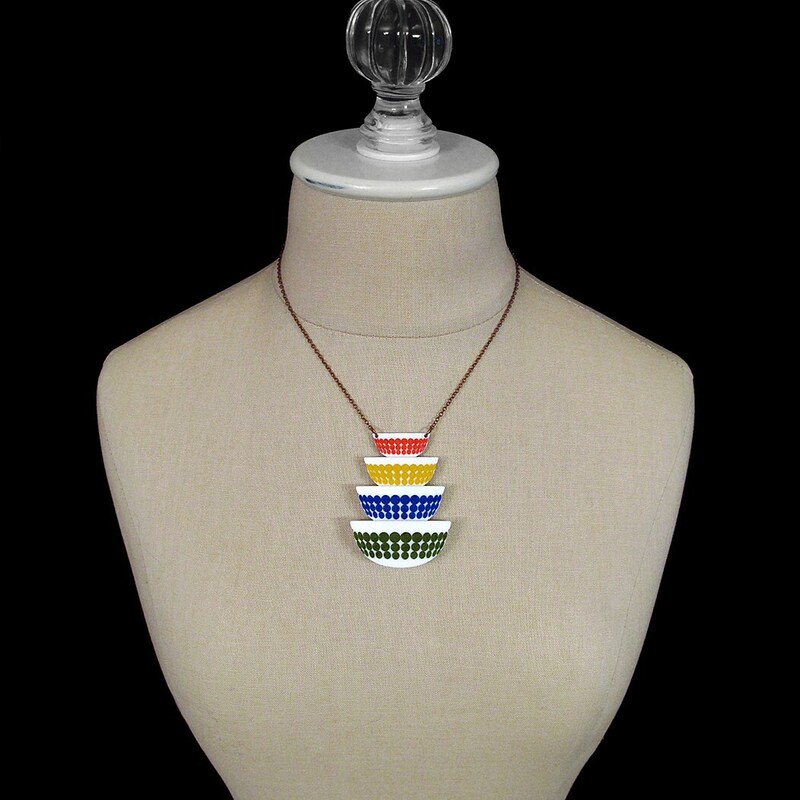 Either way this unique hand-painted piece is the perfect necklace! 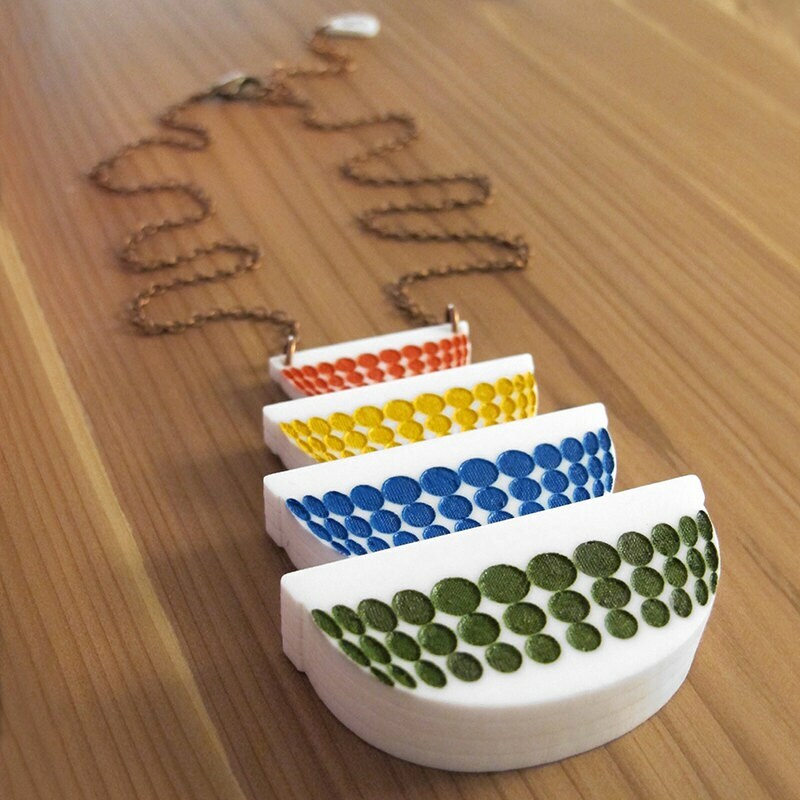 This necklace features a pendant in the shape of 4 stacked vintage Pyrex bowls made of four-tiered layers of acrylic. The polka dot design on the bowls has been engraved into the acrylic and filled with paint by hand.